i plugged in the router yesterday but found i didnt have have any connection so i disconnected the power cable and the yellow router cable out of the router then plugged them back in. i looked on the router homepage and saw that my downstream speed had gone upto 2336kbps from the previous 512kbps i was getting. 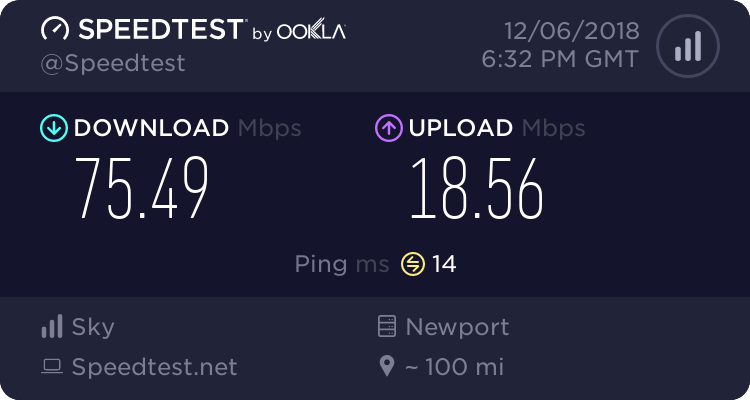 but the girlfriend always unplugs the yellow router cable at night so i've just plugged the router cable back in when i got home from work and looked at the router homepage and it had gone down to 896kbps so i did as i did before and found that the speed had gone back upto 2336kbps. can anyone tell why this keeps happening? and what should i do to make it stay at 2336kbps? I would guess that your line is generating a lot of errors, when you unplug/replug it in you are rebooting it, this temporary gets rid of the errors and allows a better speed. As time goes by your errors build up and the speed declines. Take your stats after running for a few hours and post them here. Someone may be able to help. By the way, unplugging the yellow cable every night is not a very wise thing to do. It does no harm left in and continual plugging in/out will eventually wear the plug and or socket and give you more problems. here are my stats do they look okay? No they don't look too good. Even in 31/2 hours covered by the stats you line has generated quite a few errors. Are you plugged in to the Master socket or an extension? You could try plugging into the Test socket, if you have one. To expose it you have to remove the 2 screws on the Master socket faceplate and ease the faceplate off. You also look like you have been capped, given the errors you have at the moment, this is not surprising. Yes, he is showing the Mid figure for up load. I guessed he was capped as for such bad stats his SNR is reasonably good. Can you try the Test socket? Last edited by sneddy; 08-08-07 at 02:34 PM. The trouble is is you try to get help from Sky, all they will do is cap you down further. You can try to get BT to improve the phone line by telling them you are hearing noises on the line, but this may not help. If you do contact BT, don't mention Broadband or they will do nothing. I am not 100% sure but maybe the only thing you can do, is boot your router a couple of times a day to clear the errors. Maybe Saturday or NR could say if this is the best thing to do.